GPS maker TomTom has announced its latest navigation offering, the TomTom XL 340S Live, a new connected GPS that hooks into the AT&T mobile network and which features local search capabilities powered by Google. The XL 340S Live represents the first time TomTom has brought connected GPS services to the middle range of its product line—and that includes fuel price information, local real-time traffic, and weather. The XL 340S features a 4.3-inch 320 by 240-pixel display, and its connected services feature local search powered by Google, realtime traffic feeds that are updated every two to five minutes, along with TomTom’s own weather and fuel price services. The XL 340S come with full maps of the U.S., Canada, and Mexico, and a built-in points-of-interest database with some 7 million entries. 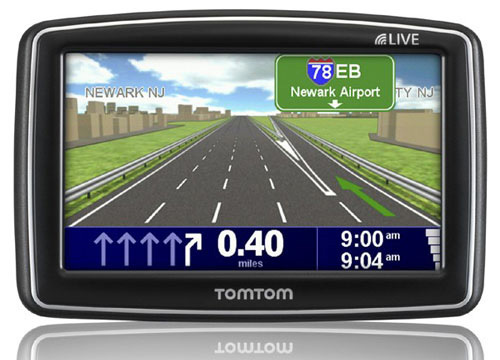 The unit also sports TomTom’s Advanced Lane Guidance to help folks get through complicated highway exchanges, along with TomTom’s IQ Routes technology to calculate routes based historical speed data correlated to time-of-day, so users can get where they’re going faster and save both money and gas. The Live services built into the XL 340S are enabled for three months: after that, customers will need to pay about $10 a month to keep the service active, just like the buyers of high-end GPS systems do. The TomTom XL 340S will be available in the U.S. at a suggested retail price of $299.95.